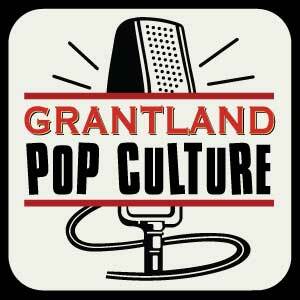 Grantland Pop Culture is a varied collection of podcasts hosted by Grantland writers and friends of the site. 'Fargo' showrunner Noah Hawley joins Andy Greenwald to discuss the show's tremendous second season. Seth Meyers joins Andy Greenwald to discuss 'Late Night,' 'Saturday Night Live,' and building a career in comedy. Andre Holland, who stars on Cinemax's 'The Knick,' joins Andy Greenwald to discuss Season 2 and more. Juliet Litman and David Jacoby discuss Doublemint gum, pumpkins, and LeBron's relationship with Blaze pizza, and taste-test weirdo chips. Juliet Litman and David Jacoby talk about 'Ladies of London,' 'Survivor,' and the week in reality news. Joel Stillerman, AMC's president of original programming, joins Andy Greenwald to discuss 'Mad Men,' ''The Walking Dead,' and the future of the TV business. David Jacoby and Juliet Litman talk about cereal, DMX, and rap snacks. In the series finale of 'Do You Like Prince Movies?,' Alex and Wesley make their last stand against the forces of darkness - and one of them isn't coming back. Axel Alonso, editor-in-chief of Marvel Comics, joins Andy to discuss the state of the superhero industry, diversity, and his company's "All New/All Different" reboot. Juliet Litman and David Jacoby talk about a Costco fistfight, horse meat in England, and a cocaine shipment in Philadelphia. Juliet Litman tells David Jacoby about Ben H.'s Night 1 at the 'Bachelor' mansion with an embarrassing amount of glee. Alex and Wesley discuss the Emmys, homeless Richard Gere, Ryan Adams's '1989,' and the rules of covering other people's songs. Plus: the elephant in the room! Chris Ryan and Andy Greenwald discuss the Emmys, Ryan Adams, Taylor Swift, Drake, Future, and the 'Mr. Robot' finale. Juliet Litman and David Jacoby talk about a Harry Potter-themed bar and stolen beer kegs, and taste-test Croatian chips. Juliet Litman and David Jacoby host a Bravo spectacular, covering 'Ladies of London,' 'Below Deck,' and the 'Vanderpump' trailer. Emmy-nominated writer and comedian Josh Gondelman joins Dave Schilling to talk about his new book, the Modern Seinfeld Twitter account, and the Celtics - Lakers rivalry. Alex and Wesley saw some movies, but not the same ones. Plus Pitchfork's 200 Best Songs of the 1980s and the generational nature of canon-making. Lauren Mayberry of Chvrches joins Andy Greenwald to discuss the band's new album, 'Every Open Eye,' and more. Juliet Litman and David Jacoby discuss a Chipotle salmonella outbreak and Google's grocery store game, then taste-test Canadian Lay's Do Us a Flavor chips.